Eventide have done just that with today’s Anthology X. It’s just huge, it covers a lot, and just a fraction of it could make it worth the cost of admission. Clockworks Legacy: Lots of handy classics here, but the big one is the legendary Eventide Harmonizer you know so well from some of — well, some of my favorite records of all time, anyway. H3000: The H3000 Ultra-Harmonizer is here turned into a modular multi-effects laboratory and 8-voice Band Delay effects for creative use. Heh, that was just one sentence, but that alone would keep you busy. New multi-effects: Holy crap, there’s a lot of stuff in here. 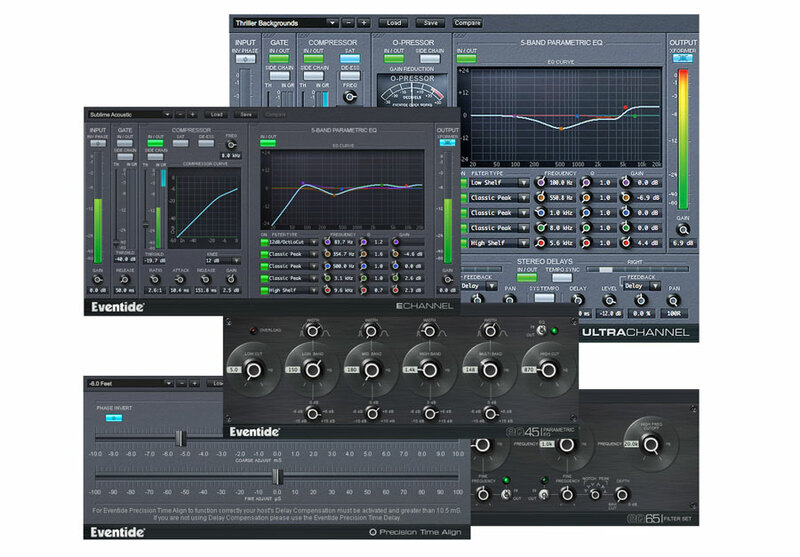 There’s a 9-algorithm reverb that does hall and room but also plate and ambience reverbs, and comes with its own tempo-synced delay, a compressor, and four EQs. 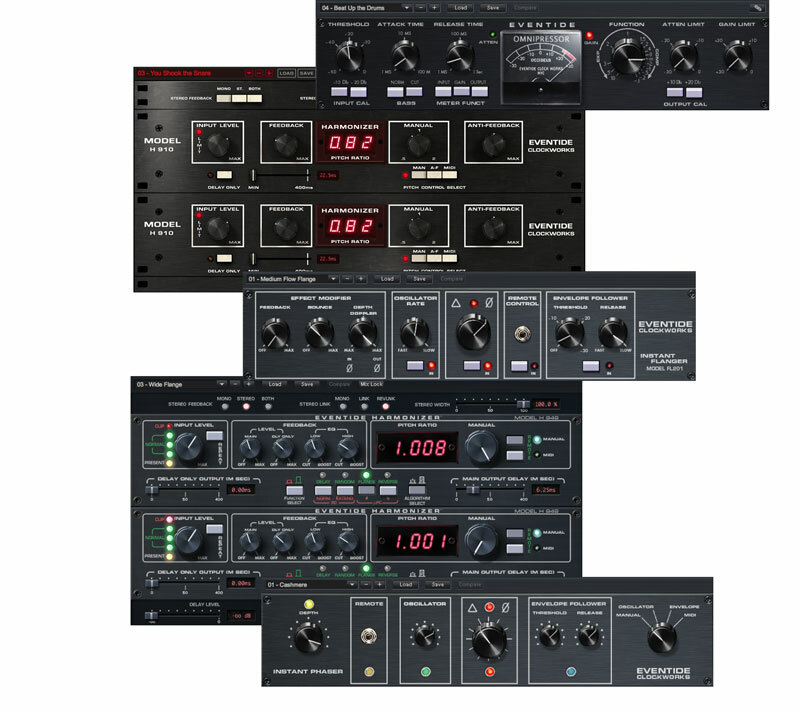 But there’s also Octavox, an 8-voice diatonic pitch shifter based on the H8000 effects processor, which has a friendly notation interface for harmonizing and retuning (plus a 4-channel variant). Mixing and mastering tools: UltraChannel (with a lightweight EChannel counterpart) is one of the better all-in-one channel strips out there, as you may already know. You can drag the order of modules around to change routings, and you get extras not normally associated with channel strips like Micro Pitch Shift and a stereo delay, because… I don’t know, Eventide’s employees must not be allowed to take lunch breaks before they cram more DSP into everything. 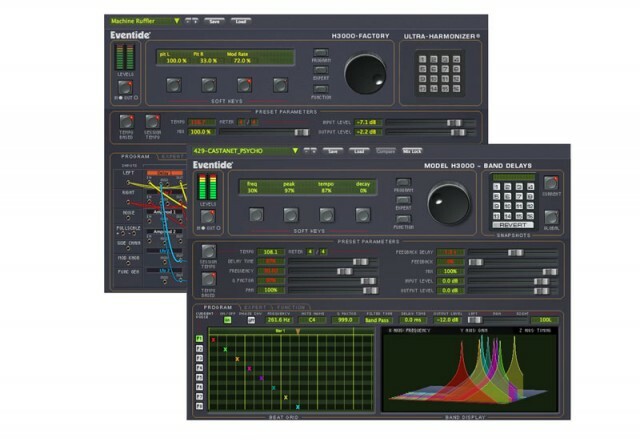 But you also get circuit models of two really nice pieces of gear – Urei 545 parametric EQ, Urei 565 filter set. Now, weirdly, the folks at Eventide are talking all about classic records and vocal effects, which I think misses the whole point. 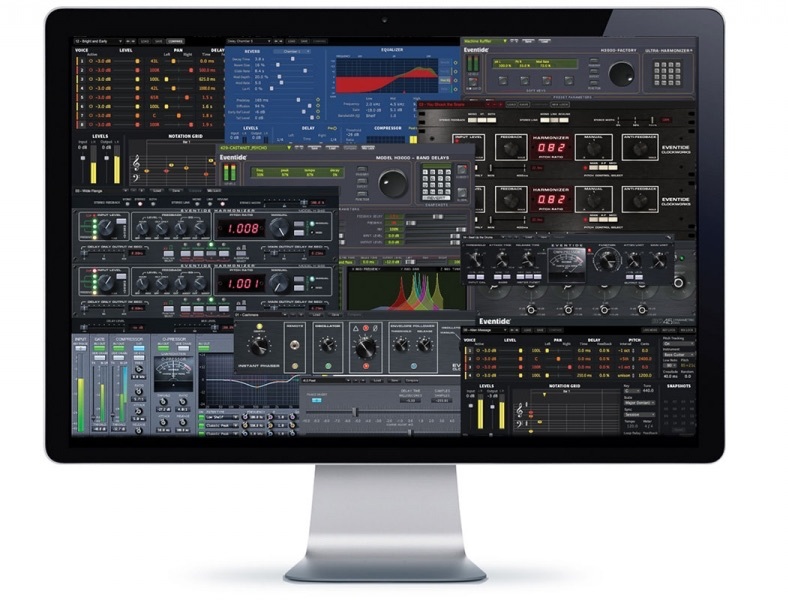 There’s so much creative power here, the release of this bundle could spawn new movements in the electronic music world – or any number of other genres. 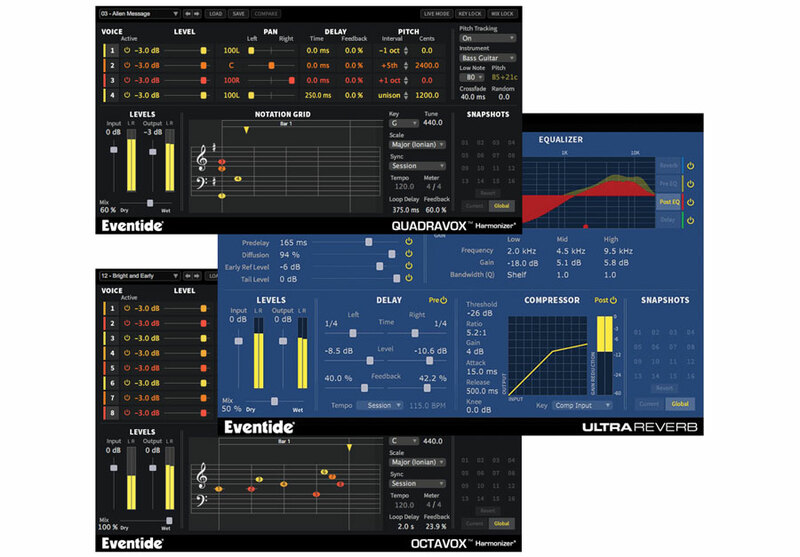 I think the addition of UltraReverb and Octavox alone could be transformative. There have been a lot of bundles lately, but this is impressive – and at this price, might even convince independent creative producers who otherwise would have just stuck with built-in DAW effect suites. But you can check it out yourself – request a demo and you get an evaluation license sent to your iLok account (which you can create for free if you don’t have one – again, no annoying USB key). I’m definitely going to check out the demos. I… am a little scared for what that will mean to the editorial backlog. I feel like Octavox could wind up leading to a new album. Let us know what you think, though – particularly if you’ve used the Eventide software before, or the hardware on which it’s based. We’d love to hear from you.